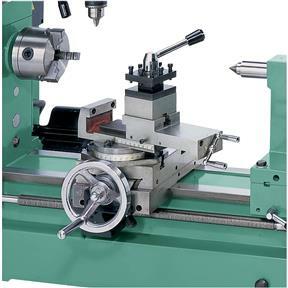 We took our basic combination Metal Lathe/Milling Machine and increased its capacity and usability. Start with a lathe spindle bore of 3/4" and a longer bed. Then added more change gears, inch-cut lead screws, a 4" 3-jaw chuck, reversing switch and so much more. 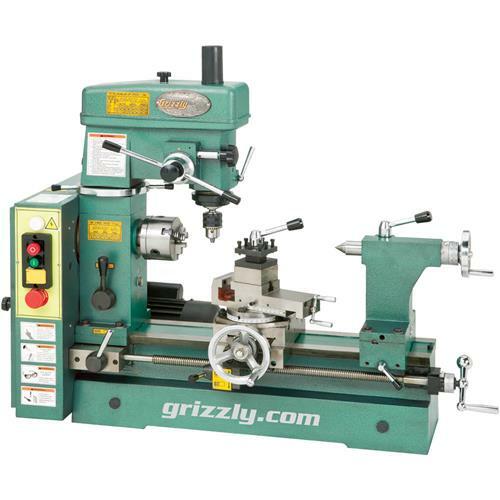 This is an excellent machine for anyone, from the home hobbyist to the seasoned machinist. You get a lot of machine in a very small package with all the features you need for just about any job! 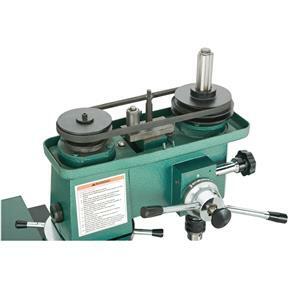 Lathe max tool size: 1/2"
1) A new vice that has v groves. 2) A quick change AXA wedge type tool post. 1) Run a separate circuit (we ran 30 amp 10 gauge). 2) Get a 1/2 Iron or 3/4" aluminum plate to mount this to (We ordered a 50" x 48" plate 3/4" aluminum plate and bolted it to 4x4 Cedar posts). Shipped all the way to Hawaii in perfect condition without a scratch and ahead of schedule. Item works perfectly. I will do more business with this reliable company in the future. Thanks! I found that the locking collar for the milling head does not hold the head in place sufficiently. The lathe works better than the mill, but neither is optimal. Set up time is excessive since it frequently happens that a project requires both the lathe and the mill. The machine suffers from the same syndrome and the "Shopsmith" When you try to make one machine to two different things, you wind up doing neither thing well. Check Craigslist listings for Shopsmith. People are giving them away. 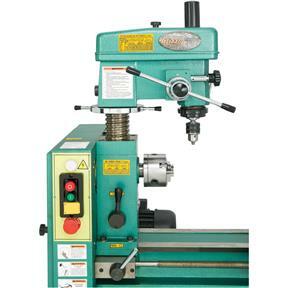 I think a good alternative is the 10 x 22 lathe and a separate bench mill. No reason to go anywhere but "Grizzly" for those machines. I owned mine for 4 years and never had an issue with it. It is powerful and accurate with many features. I did upgrade to a 3" milling vise and that was it. My only wish for it was I would have liked a steady rest to come with it. The reason I ended up selling it was my projects got larger and the spindle and chuck diameter are 7/8" and I needed one with a larger opening. Other than that, it never missed a beat and was a handy, versatile machine.